Traditional Victorian/Regency Oak styling. Two bevelled glazed lights above two raised panels. 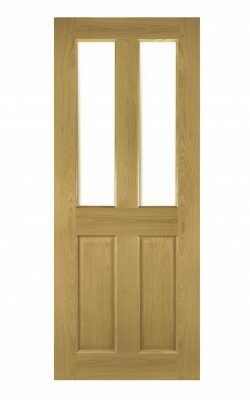 Available as a Fire Door (45mm) version and as a standard four panelled variant.